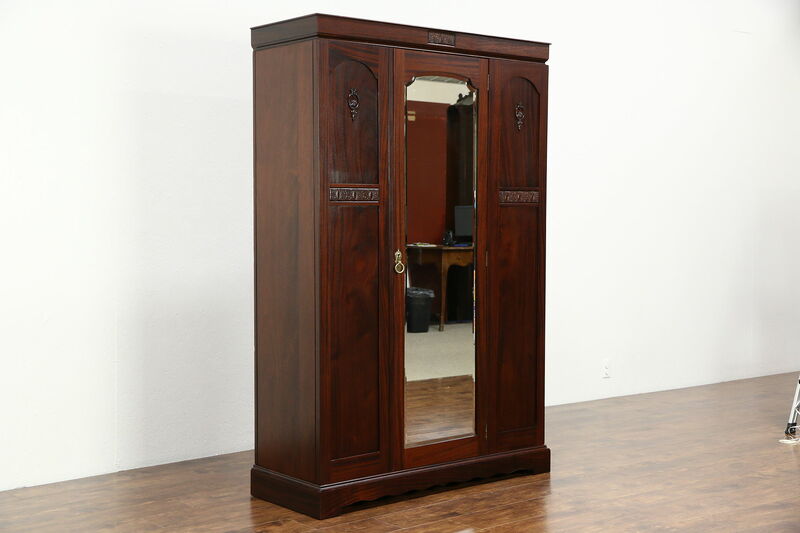 From about 1910, this English armoire or wardrobe is mahogany with a shaped and beveled mirror. The restored finish is in excellent condition, preserving some mars and dings for age, see photos. The mirror and brass hardware are all original, there is no key. Inside this antique furniture is a rod and sliding clothes hooks. Size is 49 1/2" wide, 19 1/2" deep and 74 1/2" tall.